Banks covet business in Saudi Arabia despite its poor human rights. They can say it’s the direction of travel that counts. Singapore, which just told groups like Goldman Sachs to stop backing a gay and lesbian event, is going backwards. It puts corporate sincerity to the test. 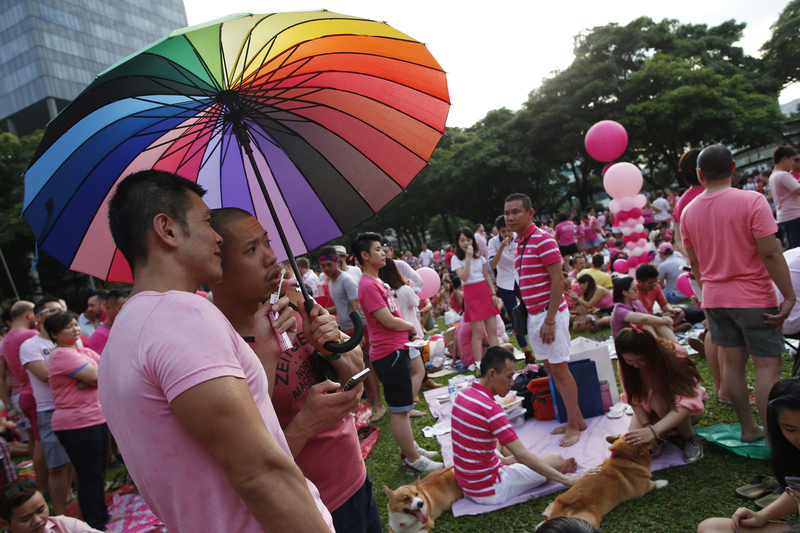 Singapore’s government told foreign companies not to fund, sponsor, support or influence events like the Pink Dot rally that took place on June 4 in support of the city’s lesbian, gay, bisexual and transgender community. The statement from the Ministry of Home Affairs on June 5 warned that foreign entities “should not interfere in our domestic issues”. Goldman Sachs, Barclays, Google, Bloomberg, JPMorgan, BP and Apple were among the sponsors of the 2016 Pink Dot event.